Researchers study the brain activity of psychic mediums using SPECT, Single-photon emission computed tomography, imaging to understand what is happening to them while under a trance. Psychic mediums are have been popular since early civilization. They claim to communicate with the dead and bring back messages from the after world to loved ones still living. Sometimes looked down upon as frauds and charlatans, they have a place in society as a means of coping with the loss of a loved one. Mediums appeal more to the spiritual side of life. There is no scientific basis that what they do is true or even real. More so, outside of religious connotations, there is no evidence on the existence of the afterlife. The closest experiment scientists can conduct and observe are with the mediums themselves. Recently, researchers studied the brain activity of mediums in Brazil using SPECT (Single Photon Emission Computed Tomography)imaging while under a trance. A Single Photon Emission Computed Tomography (SPECT) scan is a type of nuclear imaging test that reveals blood flow to tissue and organs. Video: What are Brain SPECT Imaging Scans? A CT Scan (Computed Tomography) is used to monintor trace amounts of radioactive material injected to the body. This material, called a tracer, emits gamma rays which the computer monitors and processes as two dimensional cross section images. These images are then combined to form a 3D representation of the area of the body being monitored. Materials used as a tracer are odine-123, technetium-99m, xenon-133, thallium-201, and fluorine-18. These are safe and natural elements that the passes through the body without any adverse or harmful effects. 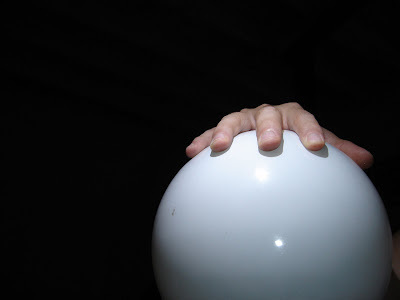 In Philidelphia, researchers at Thomas Jefferson University and the University of Sao Paulo in Brazil analyzed the cerebral blood flow (CBF) of Brazilian mediums during the practice of psychography, described as a form of writing whereby a deceased person or spirit is believed to write through the medium's hand. The new research revealed intriguing findings of decreased brain activity during mediumistic dissociative state which generated complex written content. Their findings will appear in the November 16th edition of the online journal PLOS ONE at http://dx.plos.org/10.1371/journal.pone.0049360. "Spiritual experiences affect cerebral activity, this is known. But, the cerebral response to mediumship, the practice of supposedly being in communication with, or under the control of the spirit of a deceased person, has received little scientific attention, and from now on new studies should be conducted," says Andrew Newberg, MD, director of Research at the Jefferson-Myrna Brind Center of Integrative Medicine and a nationally-known expert on spirituality and the brain, who collaborated with Julio F. P. Peres, Clinical Psychologist, PhD in Neuroscience and Behavior, Institute of Psychology at the University of Sao Paulo in Brazil, and colleagues on the research. 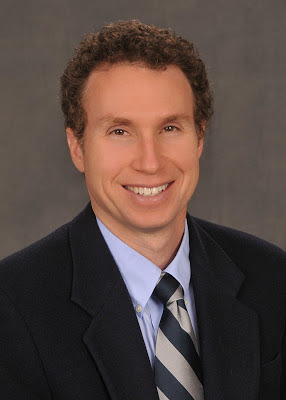 Andrew Newberg, MD, director of Research at the Myrna Brind Center of Integrative Medicine at Thomas Jefferson University Hospital is a nationally-recognized expert on spirituality and the brain. His recent research analyzed the cerebral blood flow of Brazilian mediums during the practice of psychography, a form of writing whereby a deceased person or spirit is believed to write through the medium's hand. Several possible hypotheses for these many differences have been considered. One speculation is that as frontal lobe activity decreases, the areas of the brain that support mediumistic writing are further disinhibited (similar to alcohol or drug use) so that the overall complexity can increase. In a similar manner, improvisational music performance is associated with lower levels of frontal lobe activity which allows for more creative activity. However, improvisational music performance and alcohol/drug consumption states are quite peculiar and distinct from psychography. "While the exact reason is at this point elusive, our study suggests there are neurophysiological correlates of this state," says Newberg. "This first-ever neuroscientific evaluation of mediumistic trance states reveals some exciting data to improve our understanding of the mind and its relationship with the brain. These findings deserve further investigation both in terms of replication and explanatory hypotheses," states Newberg.